Enhance your sales, enhance your products, enhance your brand - our packaging will give your products or gifts a professional look, and is guaranteed to be appreciated by your clients and customers alike. 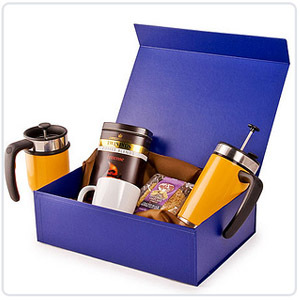 Gift Package your products to make them truly desirable, professional and to increase sales. Increase profitability in your products with a variety of options including cartons, rigid boxes, point of sale and tubes. All of these can have very different effects with the use of printing processes and different papers, plastics or coverings. Similar bespoke options are available on other packaging types - Point of Sale, Rigid and Collapsible boxes can have litho or screen-printed colour logos, foil blocking and various other effects. And of course, in any size you want ! We will liase with your existing designer or offer a complete design and production service. Please visit our Contact Page to make an enquiry and a member of staff will be in touch to discuss your requirements further. Hamper Boxes are one of our most popular ranges, as they are a great way to bundle and protect gifts for any season. 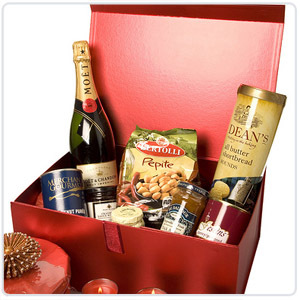 Our dedicated website hamperboxes.co.uk shows our stock range of Hamper Boxes and presentation accessories available for immediate despatch, as well as providing a gallery of examples. Hamper Boxes design can be ordered in bespoke sizes or prints screen or litho coloured prints or litho foil prints. Alternatively, use the stock Hamper Box range and allow us to foil block your brand or produce printed ribbons to compliment this fabulous range.